At Shoreline Container, Our Products are All About Your Products. For over 100 years, Michigan and our neighboring states have led the world in manufacturing. 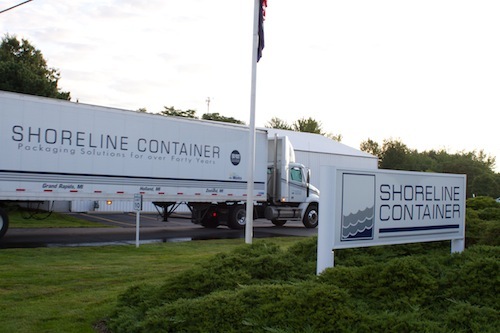 For nearly half of those years, Shoreline Container has been a growing partner to that manufacturing base by designing and producing custom container and packaging solutions. Our customers help shape our company. We strive to be flexible enough to deliver creative solutions and efficient enough to be on time and on budget with a final product that leaves your products without flaw or blemish. Shoreline’s operations take place in two state-of-the-art facilities with a combined 400,000 square feet. These plants are outfitted with the latest in technology and equipment. We have a staff of nearly 250 people working in multiple shifts, all dedicated to engineering and building the right solutions for your products. We have developed national and international partnerships with suppliers that insure you will receive the right level of quality at a competitive cost. Shoreline is also a partner in Five Star Sheets, one the nations premier corrugated sheet manufacturers. At Shoreline, we’ve built a business model around your needs: four separate groups but one point of contact. This allows you to keep your resources and energy focused on what you do best instead of navigating through multiple suppliers when you really just need one good solution. 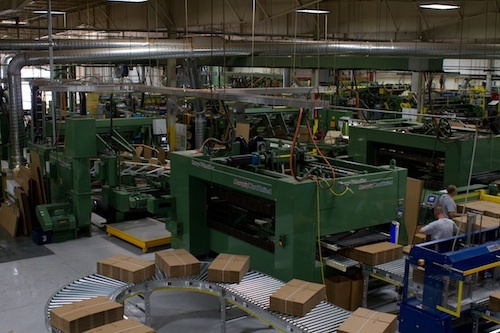 Click on each group to the right to learn more, or contact one of our representatives to discuss all of your packaging needs. Employment Opportunities: Shoreline Container is a growing company seeking motivated, hard-working people to join our team. We are an equal opportunity employer and offer competitive wages, benefits, paid vacation time, as well as a clean, safe, and enjoyable work environment. Click here for an online Job Application.